The Image Management window stays opened after to send an image to the post. This allows you to insert multiple images with ease. If you like the window to be closed every time you insert the image into the post, you can disable multiple image posting in the options. Everything important is in the options screen now! Each time you are going to insert a thumbnail for an image into the post, only the sizes which are lower than the horizontal size of the image are shown. This won’t let you insert a 500px thumbnail for a 320x240px image. 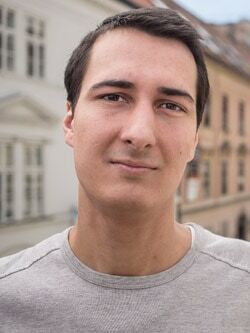 Since the Image Management window may stay opened after you insert an image, we implemented a technique which disables the usage of that window after you log out from your WordPress admin panel. 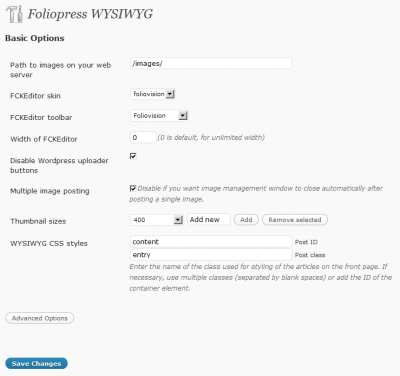 If the post you are about to edit with Foliopress WYSIWYG was created with the default WordPress editor (TinyMCE), Foliopress WYSIWYG runs wpautop on it prior to editing. TinyMCE is storing posts without any HTML markup for the paragraphs, so it’s necessary to run this core WordPress function in order to work with the posts correctly in our editor. You may want to disable this function if some of your special posts are destroyed after opening with Foliopress WYSIWYG. 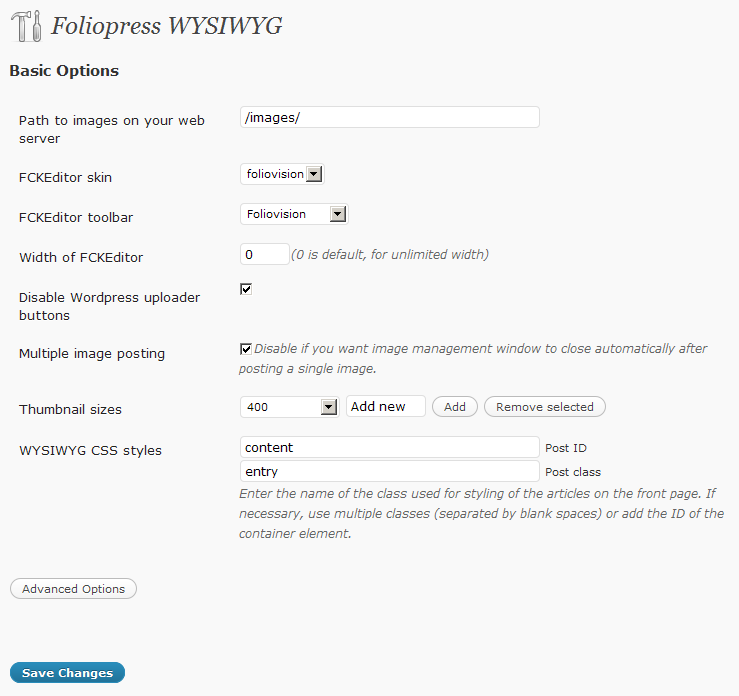 Download the plugin from our Foliopress WYSIWYG page or from the WordPress plugin page. If you are going to do the auto-upgrade, you should use this simple guide to preserve your current settings.